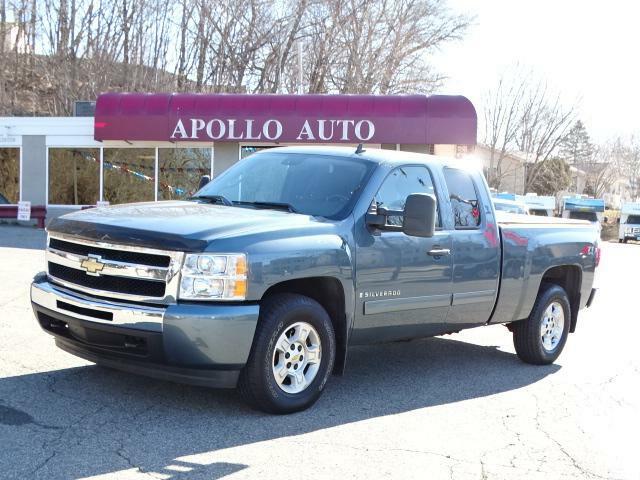 This 2009 Chevrolet Silverado 1500 LT is offered to you for sale by Apollo Auto Sales . No matter the terrain or weather, you'll drive at ease in this 4WD-equipped vehicle. With exceptional safety features and superb handling, this 4WD was engineered with excellence in mind. This low mileage Chevrolet Silverado 1500 has barely been touched. It's the next best thing to buying new. Driven by many, but adored by more, the Chevrolet Silverado 1500 LT is a perfect addition to any home. More information about the 2009 Chevrolet Silverado 1500: To cater to the wide range of customers and their uses for full-size pickups, Chevrolet is wisely offering two completely different interiors for the new Silverado, resulting in products that are both functional and luxurious. Prices are very competitive with other full-size trucks, and the new 6.2L Vortec V8, putting out 403 hp, outguns the Toyota Tundra's V8 as the most powerful engine in its class. With the highest tow rating among light-duty pickups (up to 10,500 pounds), and now with a new gas-electric drivetrain, the Silverado achieves a class-leading fuel economy rating of up to 22 mpg, the Silverado is very competitive among full-size pickups. Interesting features of this model are available luxury features., fuel economy, interior appointments, Refinement, and tow rating Apollo Auto Sales has been in Business Since 1972. We Specialize in Late Model-Low Mileage-Fully Serviced Vehicles. Apollo Auto Sales practices a Velocity Based Pricing Strategy which provides a Transparent Sales Process and Excellent Overall Customer Experience. Please Call Us to Check Availability and to Schedule your No Hassle-No Obligation Test Drive!! Call 401-728-8998 or Click: www.apolloautosales.com.